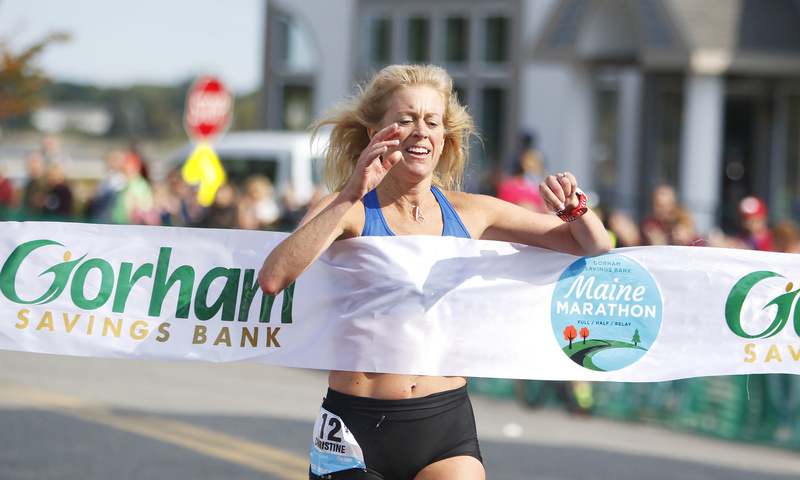 Christine Hein of North Yarmouth crosses the finish line to win the women's title at the Maine Marathon on Sunday morning in Portland. 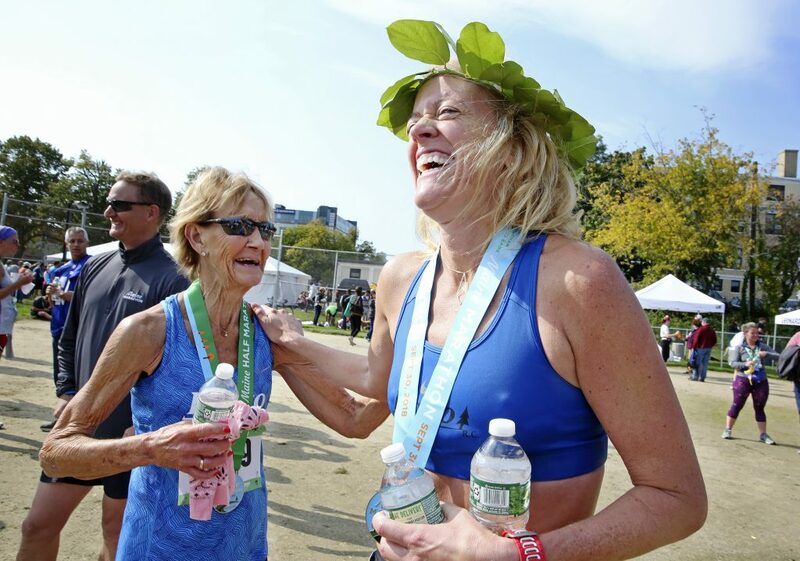 Maine Marathon finisher Christine Hein of North Yarmouth, the women's winner at the Maine Marathon, right, is greeted by half marathon finisher Polly Kenniston of Westbrook on Sunday in Portland. 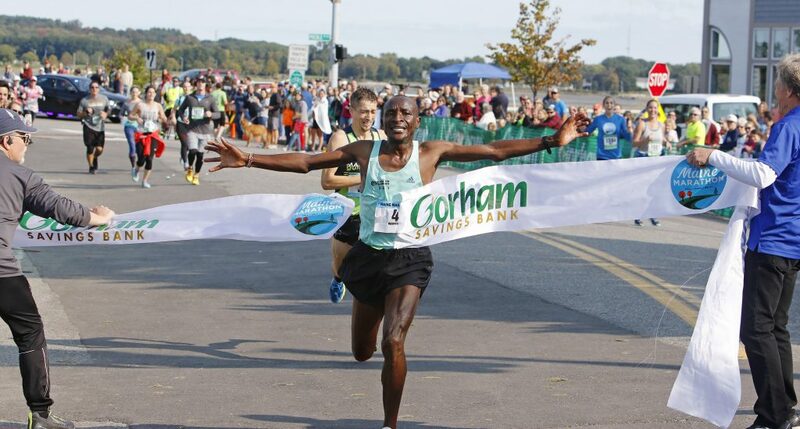 Moses Gitau races to the men's title at the Maine Marathon on Sunday in Portland. 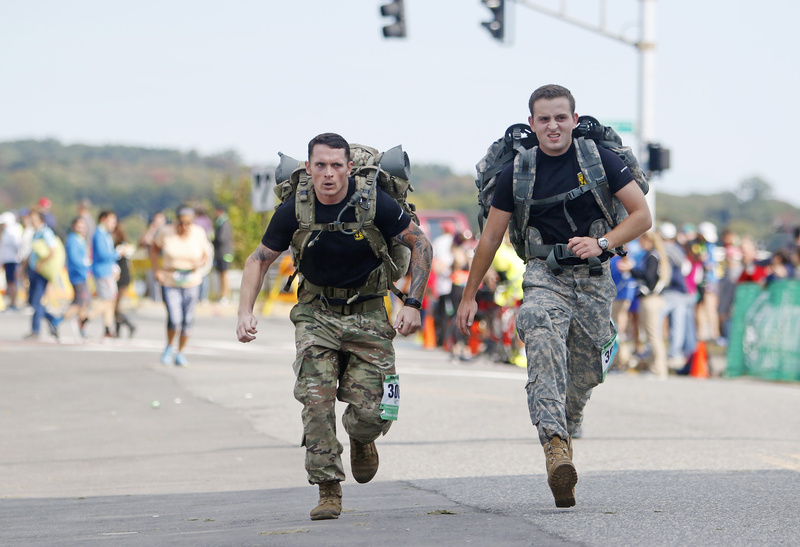 Second-place finisher Bryan Morseman of Bath, New York, in a close second place. 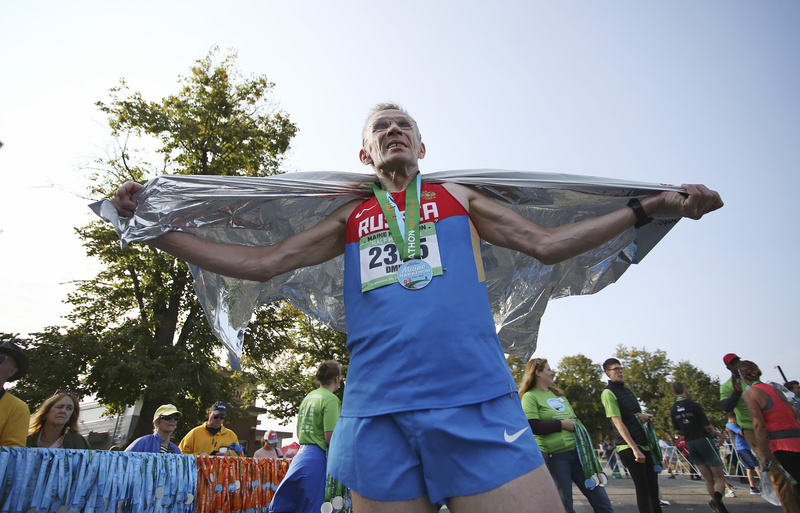 Dmitrii Akishev waits for a friend after competing his ninth Maine Half Marathon on Sunday in Portland. 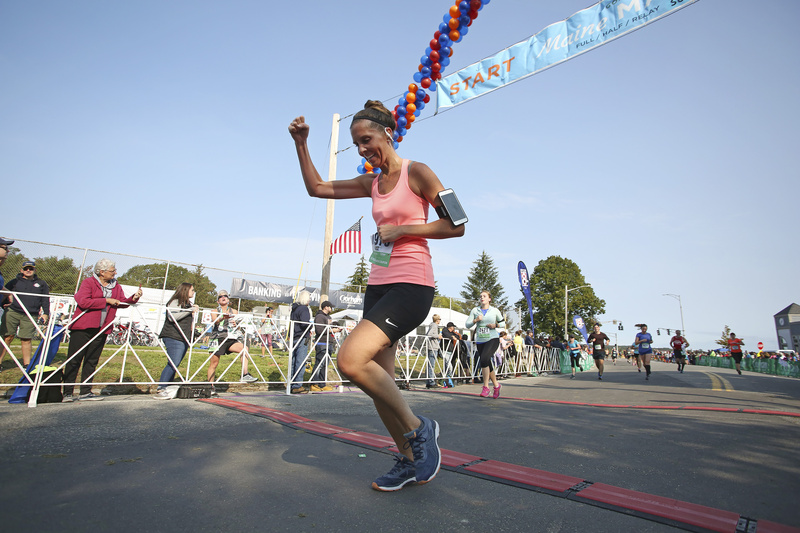 Rani Wilson of Cumberland is greeted by friends and fellow half marathon finishers Sommer and Adam Toutain of Portland at the finish line Sunday in Portland. 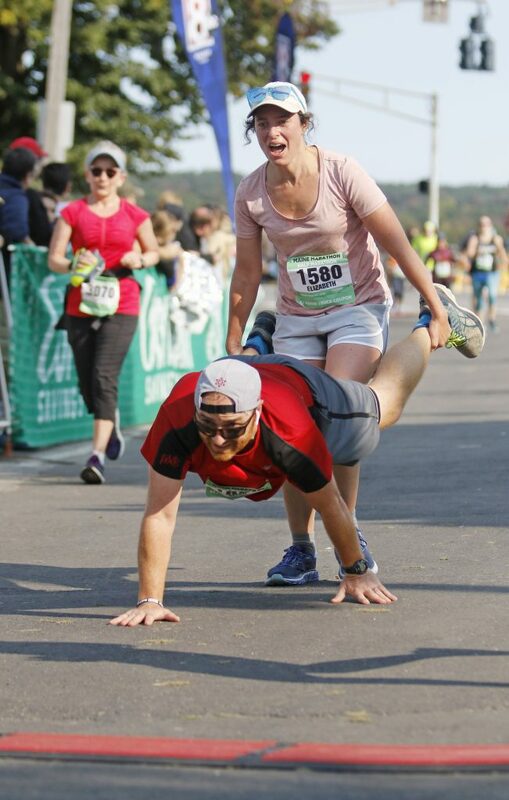 Half marathon finishers Elizabeth Vinton and Tyler Steffey, siblings and both Bowdoin grads of Massachusetts, wheelbarrow across the finish line Sunday in Portland. 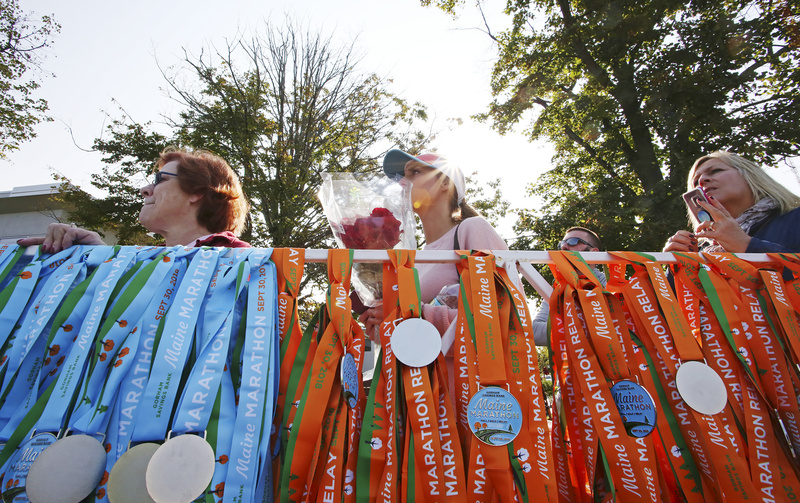 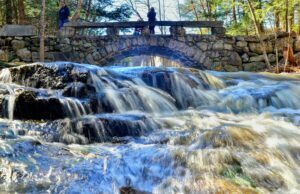 Spectators wait for their runners to cross the finish line at the Maine Marathon. USM ROTC cadets Andrew Barthel and Kevin McWilliams approach the finish line carrying packs weighing around 30 pounds at the Maine Marathon on Sunday in Portland. 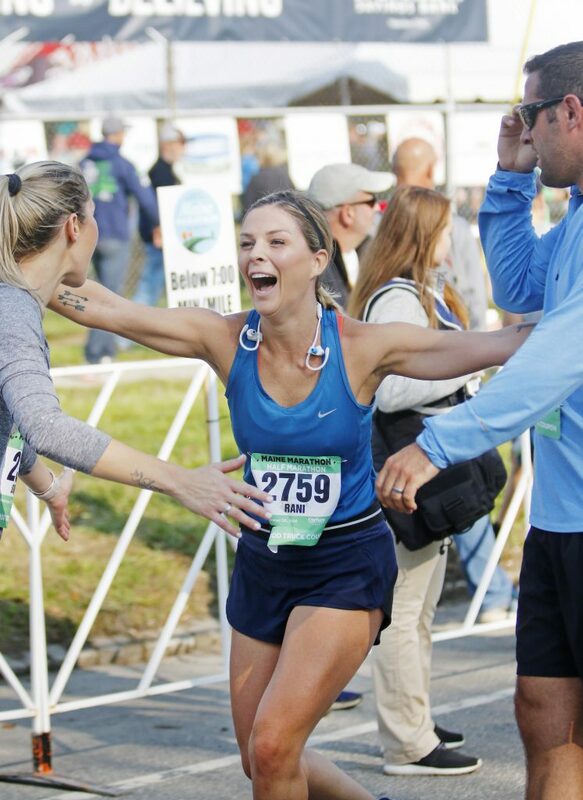 Liz Voisine of South Portland celebrates her first half marathon as she crosses the finish line Sunday in Portland.